St. Paul’s letter to the Philippians has been known as ‘the letter of joy’ owing to the exuberant joy that Paul displays throughout his letter. This is particularly notable as he writes this letter to the church whilst imprisoned in jail. 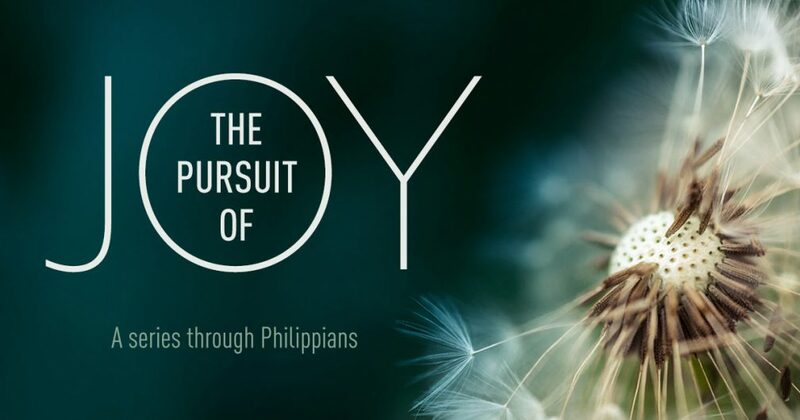 This new teaching series, The Pursuit of Joy, examines the source of Paul’s deep and unassailable joy, and asks whether this same joy is available to us today. Our second message in this series investigates one of the roots towards joy according to Paul – that God, who already began a good work in the church at Philippi, will bring it to completion. In other words, what God starts he finishes. This is great news for us, especially when we see the signs of God’s good work in our lives, even in the very earliest days of Christian faith and as a small church plant.